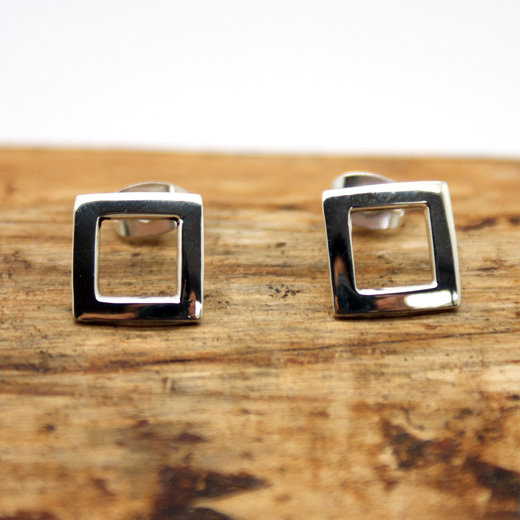 An simple yet stylish pair of earrings from the Pura Mexico range. The bold open square of sterling silver creates a chic looking pair of earrings. They have butterfly fittings and are for pierced ears only. These earrings are very smart; they will enhance any outfit and look equally elegant with evening wear. We have a matching silver and copper mix pendant and necklace to go with these earrings here. 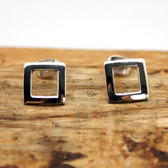 Pura Mexico jewellery is produced by small scale craftsmen. 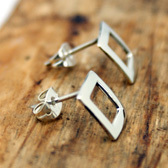 It is ethically sourced directly from independent designers, silversmiths and artisans, often women. We do not bargain, negotiate or seek to bring down the cost of any piece of jewellery, preferring a fair contract with our partners. Not exactly what you are looking for? 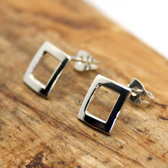 We have a wide range, see the silver earrings gallery for other options.